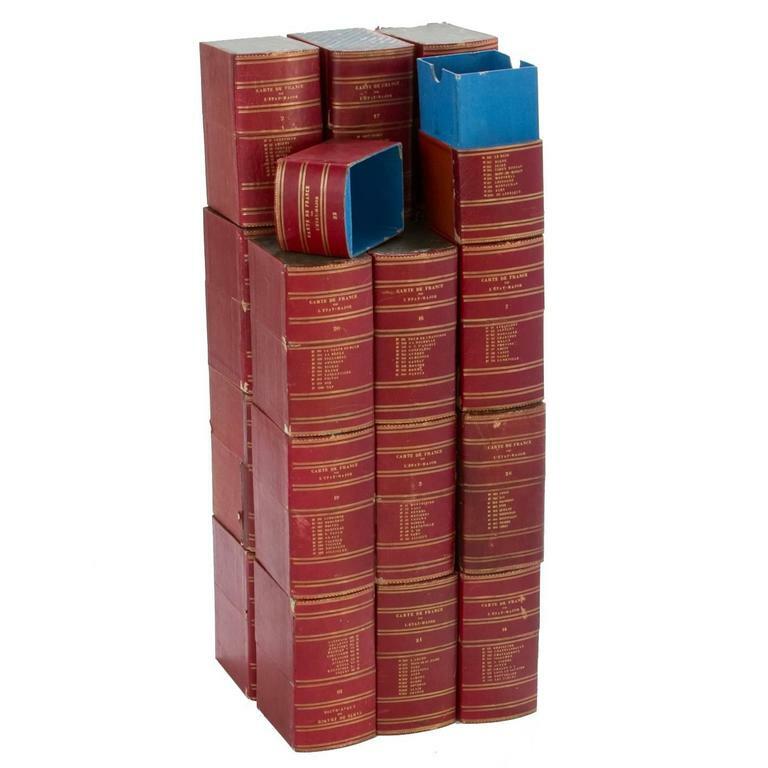 A collection of 22 red book boxes with blue interior. Originating in England, circa 1900. 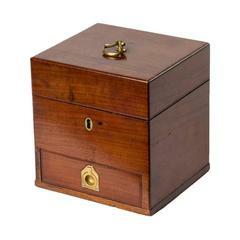 19th century mahogany box with drawer and handle. 1810s English Georgian oak box with metal feet. Oval mother-of-pearl box with brass lined interior, a perfect jewel for your perfect jewels or mementos. 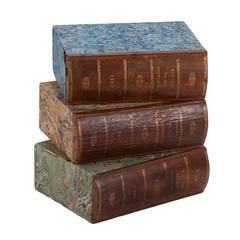 Mid-18th century shagreen box with green leather interior with hook and eye clasp. A brilliant and unique color of blue Murano glass with a chrome closure - a beautiful piece of the dressing table of vanity - storage of anything for pearls to paperclips!